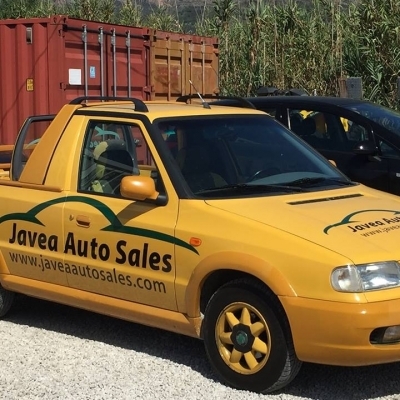 Guide to Markets & Rastros in Javea, Moraira & Calpe, Spain - where you can browse and enjoy a choice of local crafts, clothing, shoes, and local produce. 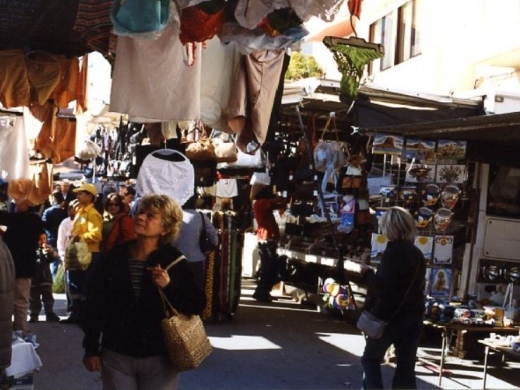 Find bargain-value products from Javea and its surrounds on the Costa Blanca at Javea's traditional weekly market. 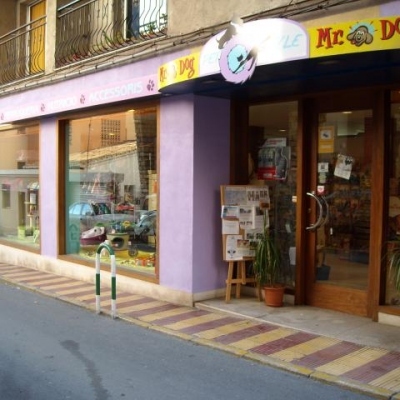 This popular and colourful outdoor marketplace is located in the historical centre of Javea. It can be found in the Plaza de la Constitucion, where it is surrounded by bars and cafes, making it the perfect Thursday outing. 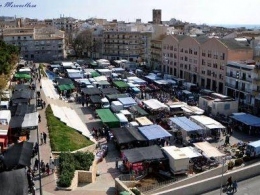 The Moraira and Teualda Weekly Markets attract people from all around the Costa Blanca area. 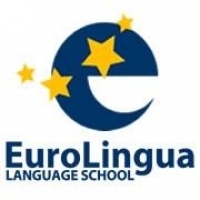 Head along to see what's on offer on a Friday or Wednesday. 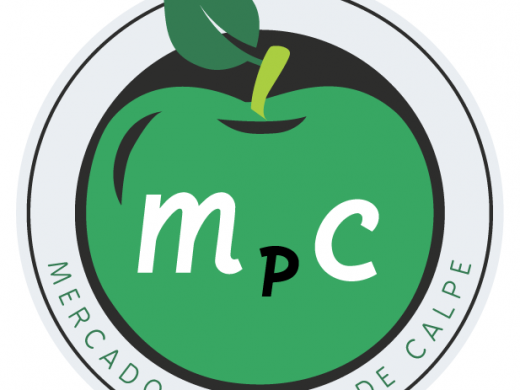 The Calpe Flea Market ("Mercado Privado de Calpe") takes place in Calpe, Spain 3 days out of each week - Mondays, Thursdays, and Saturdays from 07:00-14:00. Visit the market to shop fruits, vegetables, food products, and textiles, as well as antiques and second-hand products in the third area's rastro. 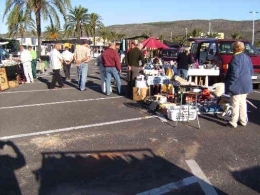 The Flea Market & Rastro in Teulada attracts many visitors from Javea, Moraira & Calpe with a large number of stalls selling second hand goods and much more. 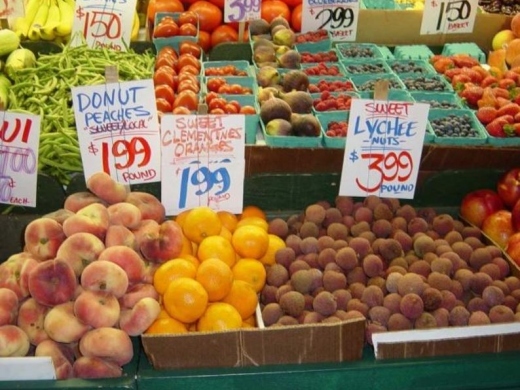 The market is held every Sunday from 8:30-13:30 at Teulada Polígono industrial. 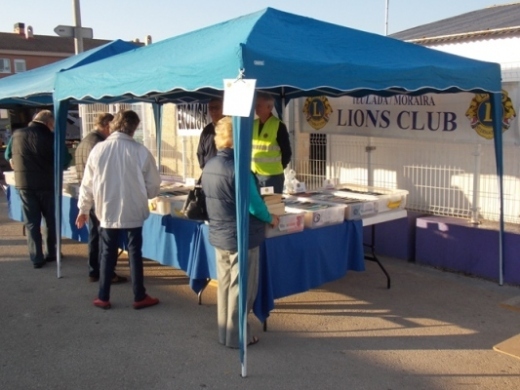 The Teulada-Moraira Lions set up a Bookstall twice-monthly at the Moraira Market, selling paperback books for only €1 each! The Teulada-Moraira Lions always welcome visitors to their stall and any donations of good-quality English paperback books. The Bookstall is held every 1st and 3rd Friday of every month. 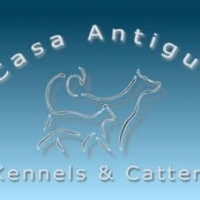 APASA Dog Shelter in Javea always has some great events for you to enjoy. Please come and support them - your help is very much appreciated!